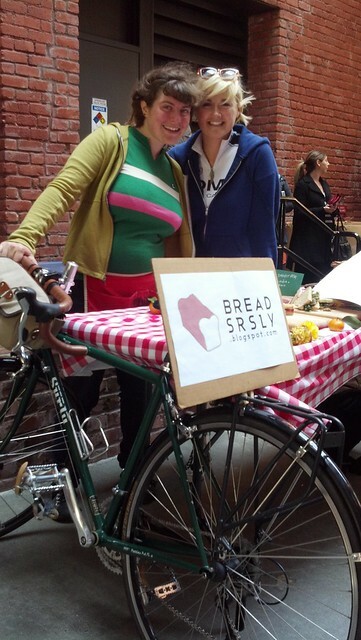 Meet Sadie Scheffer and Vanessa Christie of Bread Srsly! When, why and how did you start your company? Sadie began playing with gluten-free bread trying to woo a gluten-intolerant boy. It worked! And the bread worked too, and out came Bread Srsly, a gluten-free bread service for sensitive foodies. 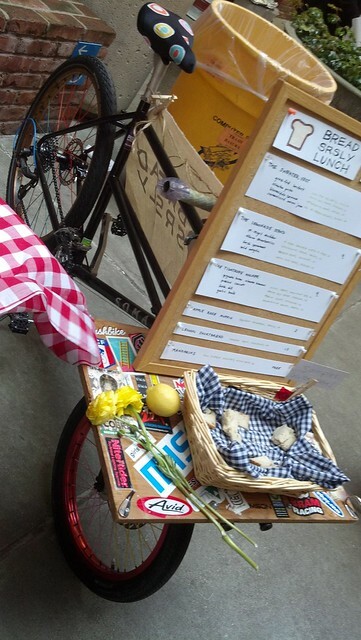 Started in August 2011, Bread Srsly quickly outgrew one set of panniers. Now we have two beastly cargo bikes, with a third on the way! It's a great feeling to share the road, riding happily and responsibly and being respected by drivers and cyclists alike. The world is a happier place on 2 wheels. And we love the self-sufficiency that comes with riding a cargo bike! At the moment our breads and muffins are available by pre-order only. 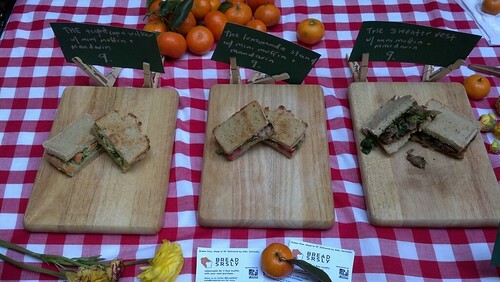 We rotate the menu every week (2 loaves and 1 muffin) using locally sourced, seasonal ingredients. Tuesdays we bake and deliver for San Francisco, and Wednesdays for the East Bay. Bike delivery is free within these 3 zones http://g.co/maps/6q5fu. If outside these zones, there are 3 SF pick-up spots. 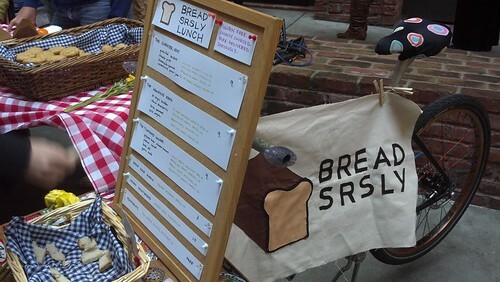 Every 3rd Wednesday, we'll be slinging gluten-free, hand-made sandwiches at the Williams-Sonoma Farmers Market (151 Union St.) and more farmers markets over the summer too. For the current menu and more info, we're @ www.breadsrsly.com or drop us a line at hello@breadsrsly.com to join our weekly menu mailing list.